Make an impression with a fast, intuitive Mobile Website design. Having a mobile friendly website is very important if you want to rank well with search engines especially Google. Why is this important to your business? Statistics show that consumers are surfing the mobile web 2000% more this year than last year – yes, you read that right, two thousand percent – that’s an average of 2.7 hours a day. We can help you capture and retain those customers who view your business online with an attractive and intuitive mobile friendly website design. Your customers will love you for it and you will have their attention like never before. Can your customers easily navigate your web site on their mobile phones? Gone are the days of the Mom and Pop local storefronts BUT they have been replaced with a powerful online e-commerce industry. Now to project a professional and effective business face to the world you need a dynamic electronic storefront. 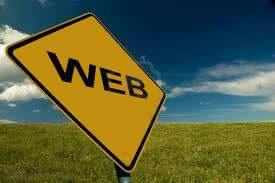 People gauge your credibility and services by the QUALITY and FUNCTIONALITY of your web site. Let us build a modern and functional mobile website for your company today. ← Do you need a Google Verified Business?